The need for urgent solutions to reduce CO2 in the atmosphere has generated several technological-based corrective proposals, but are they right? In a recent report by the European Environment Agency (EEA), the European Union is clearly committed to boosting the bioeconomy within the circular economy. Our society is constantly projecting towards the future. The myth of modernity is based on the pillars of science and technology as a guarantee of quality of life and material progress. Gaudí: the father of biomimetics? Gaudí always found inspiration in nature to create intelligent and sustainable buildings. Can we talk about a biomimetic precedent in the nineteenth century, before the technological explosion? On 12 June the new ESPORA of the BSI took place at the CCCB. Under the title “Decisions: la vida és risc”, we explore how we decide and how we calculate the risk of deciding. 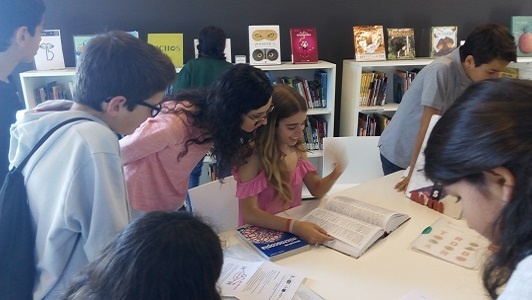 High school students from all over Catalonia participated in scientific challenges linked to water and life, accompanied by the Biomimetic Sciences Institute.